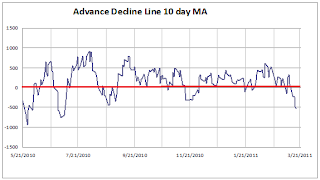 The market is finally oversold and is at oversold levels not seen since the Summer. 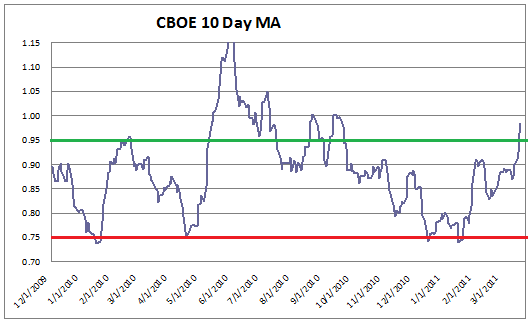 We are also seeing levels of put buying not seen since September. The high level of put buying implies that market participants are well protected. 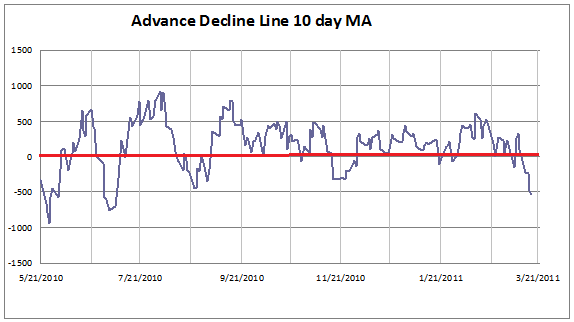 Combined with the oversold reading that gives me confidence that dips should be bought. This is especially true because we are headed into the seasonally strongest month of the year. It is possible that we see a retest of the lows as some intermediate term indicators still give the bears some room. 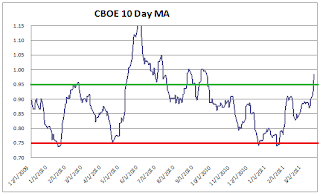 This decline started 18 trading days ago so we will not be maximum oversold on an intermediate term basis for 12 more trading days. The Investors Intelligence survey is still showing high levels of bullishness and Rydex traders are positioned bullishly. Tactically, I am positioned quite long leaving some room to buy if we get a retest of the lows or even a marginal new low. Any move lower from here would likely be the low, after which I would expect the market to rally strongly through April. I believe its equally likely that we have already seen the lows.